We're your single source for SR22, FR44, motorcycle, commercial auto and general liablity insurance. Get a quote or call today. In addition to finding the right insurance policy, finding the right company can pose a challenge of its own. Experience and expertise are important aspects about UltraCar Insurance. We’re highly specialized in the fields of SR22 and FR44 insurance. Our agents have years of experience providing high risk auto insurance, and are licensed in each of the states we represent – important points to consider when working with an online insurance provider. Whether you need a basic auto liability policy or a complicated SR22 insurance filing that involves several states, our expertise will save you a great deal of time and aggravation. UltraCar Insurance was established in 2012. Since then our business has grown rapidly, making us one of the leading companies offering SR22 insurance in 34 states, and FR44 insurance in Florida and Virginia. Our main focus has always been to provide our customers with dependable service, and we thank our loyal customers who helped us achieve this level of success. We’re pleased to be able to expand our scope of operation to include commercial auto insurance and general liability insurance for businesses, making UltraCar Insurance an even more comprehensive source for your business related auto and professional liability insurance needs. We offer a variety of commercial auto insurance and general liability insurance products for any type of business, whether large or small. One of the most important aspects about UltraCar Insurance is that we’re focused on finding the best insurance solution for each individual, regardless of their situation, and we provide honest, accurate and easy to understand advice to meet your insurance needs. We’re confident that you will be satisfied with the insurance products and professional service we provide – SR22 insurance, FR44 insurance, motorcycle insurance, commercial auto insurance and general liability insurance. Word of mouth is our most powerful advertising tool, so it’s our goal to exceed your expectations and serve you to the best of our ability. 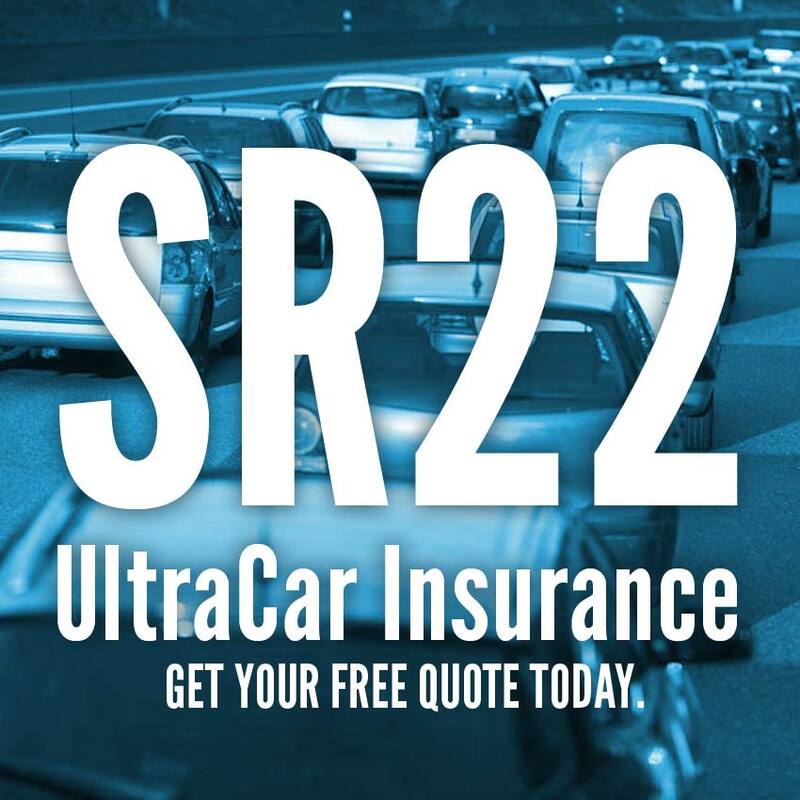 For information about UltraCar Insurance and the insurance products we provide, please see States We Offer SR22 Insurance, List of State DMV Offices, Frequently Asked Questions, SR22 Information Resources, SR22 DUI Insurance, and our customer Testimonials. Here’s how to apply – or give us a call today!